Recently my internet service provider gifted me a webcam. It is a Creative Vista Webcam and came with an installation disk for Windows. I wanted to see how it works on my Ubuntu Linux. When I plugged it in Ubuntu didn’t recognize it. I had to download drivers for it. Ubuntu’s community documentation’s Webcam page helped a lot. The EasyCam utility recognized my webcam but didn’t offer a driver for it. So I tried manual driver installation. Rastageeks provides a hacked driver for webcams. My webcam was listed on the Working Webcams webpage. The installation instructions were simple, and since I was familiar with adding third party repositories I had no trouble installing the debian packages. Running the module assistant installed the driver on my computer and now I was able to see it working in Ekiga. But I don’t use Ekiga, I use Yahoo! Messenger, so it has to work with Yahoo. We have Pidgin (Gaim) installed by default in Ubuntu. But it does not support Yahoo webcams. I have seen webcams working on Gyachi but I didn’t like its cluttered interface. So I decided to try Kopete. KDE Wiki has a very helpful Kopete Webcam Support page. From there I found out that I need to download libjasper-runtime package to see my webcam working. Jasper Runtime package is called libjasper-runtime and is available from Ubuntu Archives so it was much easier to download and install it. 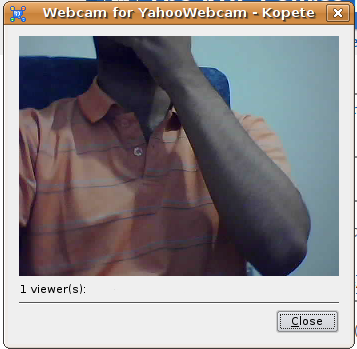 After that I ran Kopete and by clicking on Settings > Configure > Devices I was able to see my webcam working. Fantastic! I browsed the forums to find out a solution, I read about adjusting brightness, contrast and colors. I did that too, but nothing worked. 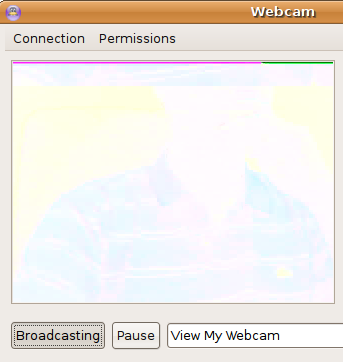 I am still unable to use the web cam in Yahoo chat rooms. usually, i find that being less stubborn allows me fantastic results to annoying problems such as the one you describe. i hate yahoo ! chatrooms and so i use amsn. if i really need to use a webcam, and most of the time i don’t, i’m content to use msn chat with windows xp. that way, i can save money buy not buying aspirin for those tension headaches, and buy a lot more pizza, etc. etc.